The image has it all. 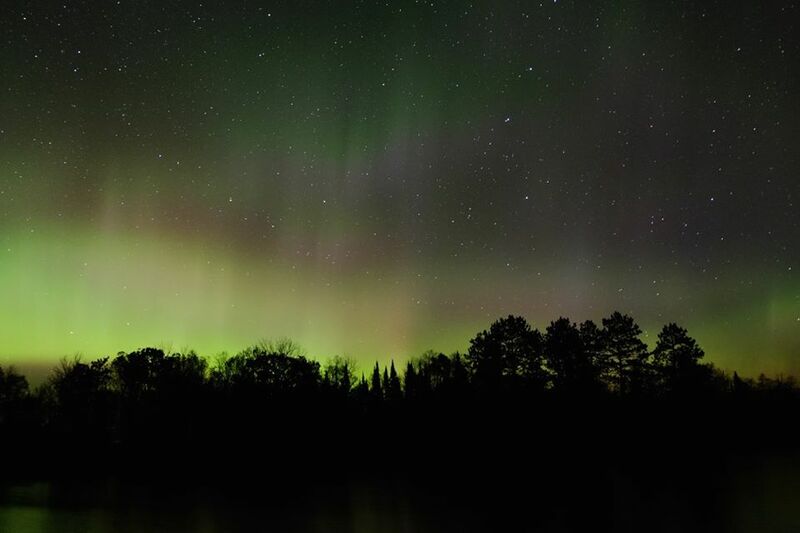 Aurora Borealis–spotted on Oct 19, 2015 in between 4 to 5 a.m. by Lake Vermillion on Cabin Sweet Cabin, a super rustic cabin owned by our friend. About 10 years ago, we witnessed another one in southern Minnesota. It was much crisp, thinner, evenly distributed from top to bottom on a big open sky, very active, fancier (so delicate and elegant), huge, a dancing curtain like shape, gently flew down from the higher spot of sky down to the earth. It was much more heavenly, fairy tale and miraculous like. It was unbelievably beautiful. Unfortunately, we did not own a mobile phone with camera feature at that time. 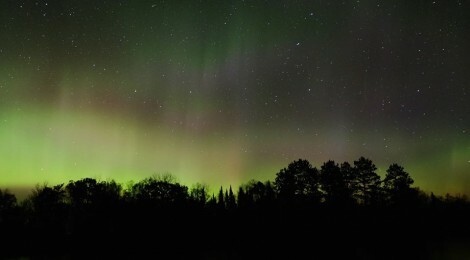 Just two pairs of organic human lens attached and witnessing the dancing aurora. The most recent one, the phenomena accumulated much thicker at the bottom, not as strong on the top. Regardless, they’re both wonderful and we have no complaints to have witnessed aurora twice in our lifetime.